Hear what over 550 clients (business owners, CMOs, VP of marketing etc.) had to say about their account executives. We asked them what they wanted, what they get and what they would change about their relationship with (for them) the most important person at the agency. 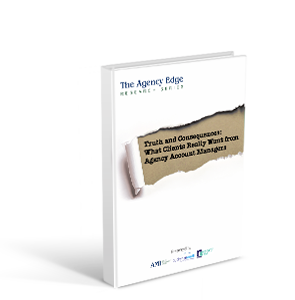 You will learn from these clients how much experience they want their AEs to have, how strategic they need your AE to be and how they feel about your AE and its influence over their likelihood to tell others about your agency and the others we’ve identified by downloading this free 16 page report, full of information, insight and guidance on how to best approach prospects based on the findings. Your AEs define in many ways, the relationship you have with your clients. They influence the profitability and the longevity of that account — and you know all too well how that influences your bottom line and your personal income. You can’t afford not to know what your clients are thinking. Fill out the form to the left to download the 21 page executive summary. We did a deep dive (about 90 minutes) via a webinar that you’re also welcome to view here. 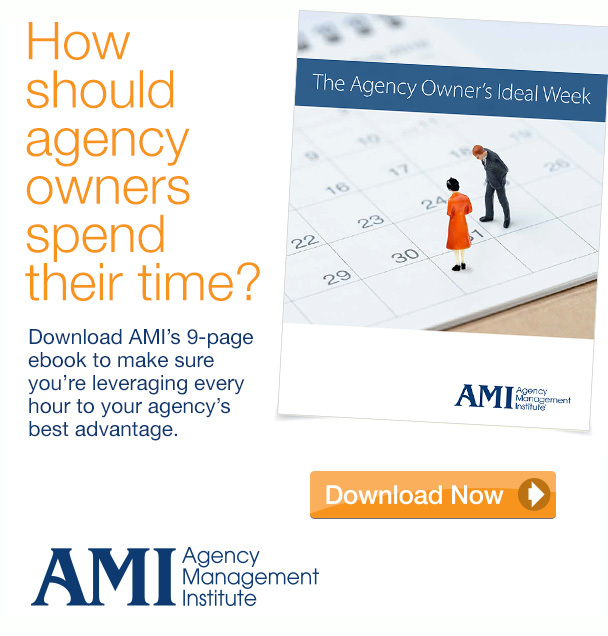 Enter your email address to get this free report.